The National Accountability Bureau was established in 1999. Its a federal anti corruption organization. 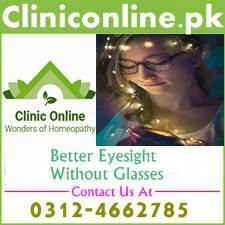 Its headquarter is situated in Islamabad, while 4 regional offices are working in each provincial capital and one at Rawalpindi city. It works under the National Accountability Ordinance, which was introduced in 1999 to curb corruption in the country. NAB has played a vital role in eliminating corruption by investigating and prosecuting the white collar crimes in the country. NAB has recovered outstanding amount from corrupt elements. Its role is multidimensional, as it just not only detects & investigates the corruption, but also tries to monitor and prevent such activities in society. It is also creating awareness against social evil of corruption. Now every one at least thinks once before misusing powers or taking kickbacks due to fear of NAB. That’s why youth love to join this department to combat against corrupt elements. Now National Accountability Bureau Headquarters Islamabad has invited applications for following posts in its different departments at its headquarter Islamabad. Eligibility criteria for each post along with other details have been given below. 1-NTS will take the entry test for these NAB jobs. 3-Candidate with higher qualification and experience will be preferred. 4-Only short listed candidates will e called for test and interviews. 5-No TA/DA will be admissible for short listed candidates who will be called for test/interview. 6-Applicant must be medically and physically fit. 8- Send your dully filled applications with attested copies of required document to NTS Headquarter; 1-E, Street No, 46, I-8/2 Islamabad. 9-Click the link given below to download the NTS form for NAB jobs. 10- Read our following articles for guidance about how to clear NTS test and interview for NAB jobs. You may also view and download NTS contact details, roll number, answer keys and result from our website. You can read the details about NAB jobs in the newspaper ad cutting below this post. 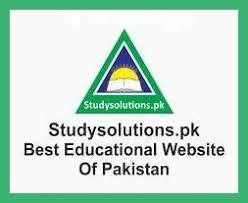 Visit us (Studysolutions.pk) regularly for latest quality job alerts. Kindly like for social pages too like facebook page for latest alerts about NAB jobs 2019. We shall soon provide you facility of online preparation for NTS and Nab jobs on our new educational and online testing website. You must read our following article for guidance about latest NTS jobs 2019. Kindly visit our NTS category for downloading your NTS roll number slip, answer key and result. We wish you best of luck and here is the link of most recommended article for you.